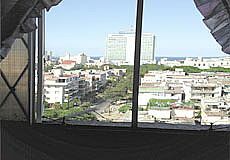 Spacious studio room well ventilated and comfortable overlooking the Malecón Habanero (Havana's seafront), the Habana Libre Hotel and the rest of the hotel complex: National of Cuba, Capri, Vedado, etc. 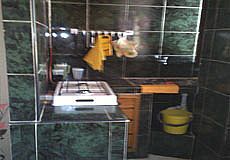 Air-conditioned room with hot and cold water, refrigerator, radio, double bed and a comfortable sofa bed, kitchen, private bathroom. 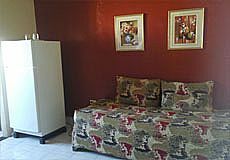 They offer meal service and laundry, not included in the rental price. 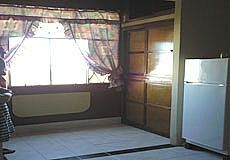 The rental price depending on the season of the year, the demand for rent and the type of room and it is from 25 CUC to 25 CUC. 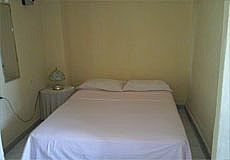 Book with us and you will get the best price available on the market for Carmen Studio Apartment. Usually, payment must be in CUC upon arrival at the rantal place.